In this New York Times bestseller, the author of Lafayette in the Somewhat United States "brings the [Puritan] era wickedly to life" (Washington Post). To this day, America views itself as a Puritan nation, but Sarah Vowell investigates what that means-and what it should mean. What she discovers is something far different from what their uptight shoebuckles- and-corn reputation might suggest-a highly literate, deeply principled, and surprisingly feisty people, whose story is filled with pamphlet feuds, witty courtroom dramas, and bloody vengeance. Vowell takes us from the modern-day reenactment of an Indian massacre to the Mohegan Sun casino, from old-timey Puritan poetry, where "righteousness" is rhymed with "wilderness," to a Mayflower-themed waterslide. Throughout, The Wordy Shipmates is rich in historical fact, humorous insight, and social commentary by one of America's most celebrated voices. 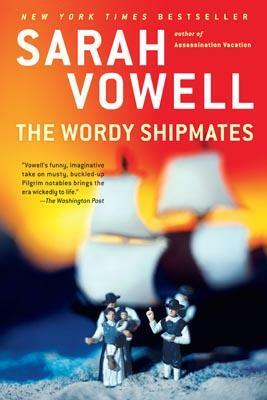 Sarah Vowell is the bestselling author of Lafayette in the Somewhat United States, Unfamiliar Fishes, The Wordy Shipmates, Assassination Vacation, and The Partly Cloudy Patriot.